AMZN setting up in handle here…but HD not acting like I want as it comes below pivot. CRUS if it puts in a handle. EXPE if it puts in a handle. WFM as it tightens around the 50 day. EQIX as it puts in a handle. I will let you know if any become plays. The big worry is that last week’s pop was nothing more than month-end fueled by a lot of noise. We’ll know soon enough. The government is doing $1.3 trillion in debt per year. It’s about 98 days until the election. Just remember, neither you nor I caused the deficits. It’s all them: George Bush…Barrack Obama and their people. Before George Bush, deficits were under control. And then, the deficits went out of control and nobody did anything about it. John Boehner did nothing while George Bush was over overseeing it. And now John Boehner is the loudest voice while Obama does it. Well Obama’s making George Bush look like a piker. And he doesn’t care. Last Tuesday, the Dow was down 200. And then it rallied up a hundred points because a planted story to the media got out. Let me be clear. It WAS planted. That stuff doesn’t get out there by happenstance. And the plant was basically about how the Fed could be closer to doing something new, like printing more money. And then Wednesday was a non-event. Thursday morning the futures were down a little bit. The Bernanke’s compatriot, Draghi, announced that they were ready to do the same thing that our Fed’s doing. That every move up in the market is because of what a Central Bank says or does. That it was the end of the month window dressing. The Fed is meeting and Wednesday they’re going to come out and announce whatever they’re going to do or not do. I have absolutely no idea what they’re going to do or what they’re going to say. And I have no idea how the markets going to react to it. The fact is they have been printing and easing and will continue no matter what they said. My thought process is that the market is so set up for the Fed to do something that – what happens if they don’t do something? And what if they do something that the market reacts negatively to? And of course, you have the European Central Bank (ECB) meeting on Thursday. And, of course, they’re fake. 8.2 unemployment? Supposedly, millions of people have left the job market in the past 3 ½ – 4 years. You add those people back and we’re at 11%. You add half of those people back, you’re still at 9 point something. And I’ve written the Labor Department and asked them for the list of people that supposedly have left the workforce in order to make the unemployment rate look better. No answer. So we’re going to get a lot of fun stuff over the next three days. We’ll see how the market reacts. Me? I’ve been playing this nauseating whipsawing news-driven trading range very lightly. I have not been anywhere near fully invested, because it doesn’t pay to be. That’s how I’m playing it. My stops are the usual. Breaking below the 50-day moving average. Or even before that. And I’ll wait for a big fat pitch in the market. And the big fat pitch certainly ain’t a 250 point gap from the lows of a range, off of what somebody said. If we start to really get going and get progress, then we’re talking. I’m not sure we’re there yet. But I’m open to anything. Milton Friedman would have turned 100 today. If there is any two minutes that explains it all, explains how I feel, it is these two minutes. Watch! I think even Phil Donahue…well, never mind! HARRY REID IS STILL A SCUMBAG! To be clear, I believe Romney should release his taxes for 10 years…but Harry Reid is still a scumbag! In an exclusive report on Huffington Post, Senate Majority Leader Harry Reid (D-NV) alleges that an investor with Republican presidential candidate Mitt Romney’s venture capital firm Bain told him that Romney paid no taxes for a decade. Reid went on to say that he thinks Romney’s father would be embarrassed by the conduct of his son during this year’s presidential race. http://garykaltbaum.com/wp-content/uploads/2015/11/GaryK-RedTie-Head-Shot01.png 630 1020 aaronmat-admin http://garykaltbaum.com/wp-content/uploads/2019/01/gary-k-logo7-01.png aaronmat-admin2012-07-31 14:16:012012-07-31 14:16:01HARRY REID IS STILL A SCUMBAG! A BBC investigation suggests companies are wasting large sums of money on adverts to gain “likes” from Facebook members who have no real interest in their products. A security expert has said some of the profiles appeared to be “fakes” run by computer programs to spread spam. Facebook said it had “not seen evidence of a significant problem”. “Likes” are highly valued by many leading brands’ marketing departments. NBC, the United States’ official broadcaster of the 2012 London Olympics, experienced another tape delay-related snafu on Monday. 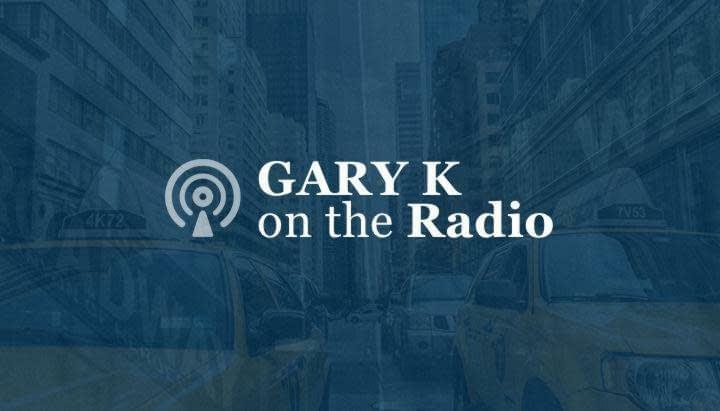 http://garykaltbaum.com/wp-content/uploads/2015/11/GaryK-RedTie-Head-Shot01.png 630 1020 aaronmat-admin http://garykaltbaum.com/wp-content/uploads/2019/01/gary-k-logo7-01.png aaronmat-admin2012-07-31 09:28:592012-07-31 09:28:59OOOPS! Spectators who fail to take their seats within 30 minutes of the start of an Olympic event could lose them under plans being considered by Games organisers. Culture Secretary Jeremy Hunt said the new rule was being explored after many events began in half-empty stadia as sponsors and delegates failed to show up. In an attempt to pack venues, London 2012 organisers Locog have taken some 3,000 Olympics tickets from international sporting federations and put them ‘back in the pot’ to be bought by members of the public. NEW DELHI (AP) — India’s energy crisis spread over half the country Tuesday when both its eastern and northern electricity grids collapsed, leaving 600 million people without power in one of the world’s biggest-ever blackouts. More yapping by ecb this morning…today, it is Socialist Hollande of France saying the euro will be saved. This from a man who is raising taxes to 75% and lowering retirement age from 62 to 60 and telling Peugeot that cannot let go of anyone even though demand has slowed because of govt policy. S&P futures are flat to up…NDX futures up decently but that is mostly AAPL which is up $8 as IPHONE 5 being announced in Sept…but it will not be called IPHONE 5. Apple decides no more numbers…hmmmm! CRUS back in play. They are predicting bigger numbers because of the new Iphone coming out. Will see if it puts in a handle or flag off the gap. AAPL is just back in range…but looking back, maybe should have probed breaking back above the 50 day on Friday. Nevetheless, we will catch it if it breaks out again.